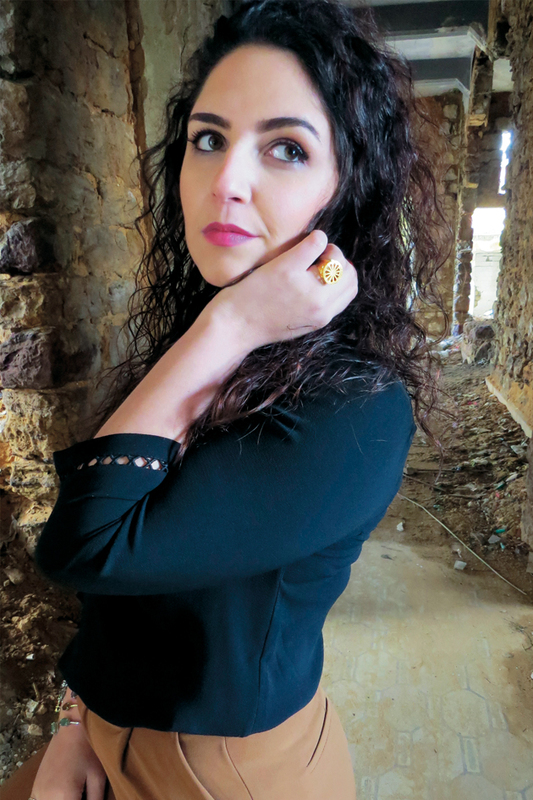 With a master in Interior architecture, the artist jeweler Paola Sleiman followed her heart, to study a master in jewelry design in Florence. It was the beginning of a big dream realized in Beirut, the city of her inspiration. Her collections and new items show her passion and her incomparable talent. Focus with Prestige. You launched a summer collection. My new collection Tropical Summer is a fun and delicate line, representing the summer spirit and its freshness. Tropical patterns and semi-precious stones add a refreshing touch to the gold, and textile elements bring an original touch. It is designed for every day and suits all ages. How did you come to jewelry? I was always attracted by jewelry. As a child, I created crafts with wooden and plastic pearls. Teenager, I discovered the energetic properties of semi-precious stones. It all began with a silver ring offered by my mother, with a magnificent jade. 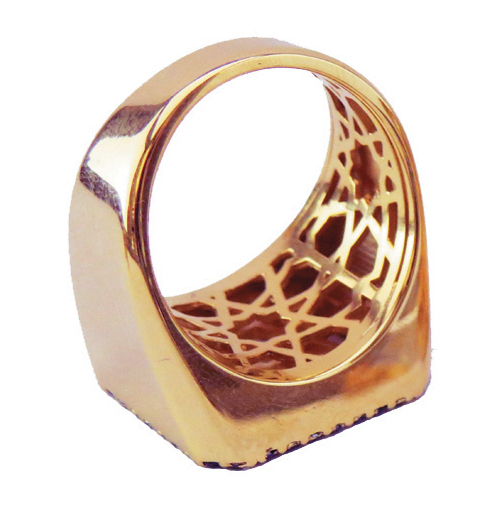 During my architectural studies, I got interested by design and architectural jewelry. There, I discovered a true passion! Tell us about your path. After obtaining my master in Interior Architecture, I worked in an architectural cabinet but couldn’t adapt to the rigid aspect of entrepreneurial work. I then worked at our familial boutique hotel, then I began research for a master in «jewelry design» in Florence, realizing my dream, having found my way! I came back one year ago to Beirut where I founded my brand. What is your source of inspiration? I like cities, the urban side, the architecture of the cities and the energy that comes out of them. I am from a French mother, but born and raised in Istanbul which is part of my identity. Then Italy, where I lived the time of my master, profoundly marked me. How do you deal with concurrence? It’s part of the game! Concurrence could be a source of motivation, and imitation, inevitable, could be as flattering as a nice compliment! What does Lebanon inspire you? When we moved to Lebanon 10 years ago, I wanted to discover old Beirut that I never knew before. It was like an ignored part of my identity that I wanted to discover. It is in tribute to this city that my first collection is baptized «Mashrabiya». And it is only a start! Beirut will be honored in my future creations. Ring in pink gold and black diamonds from the collection Mashrabiya, combining oriental architectural patterns. © Archives Paola Sleiman. Any projects? I met with the public at Beirut Designers Week, where I presented my summer collection, a very positive first experience. My collections will be soon present in two concept stores in Beirut. A High jewelry line and a masculine line are part of my projects, a collaboration with a fashion designer or a fashion industry could be very enriching. Which items attract? All items related to identity as well as stackable bracelets, necklaces and bracelets in mixed materials and golden patterns, multiple rings worn in mix and match.